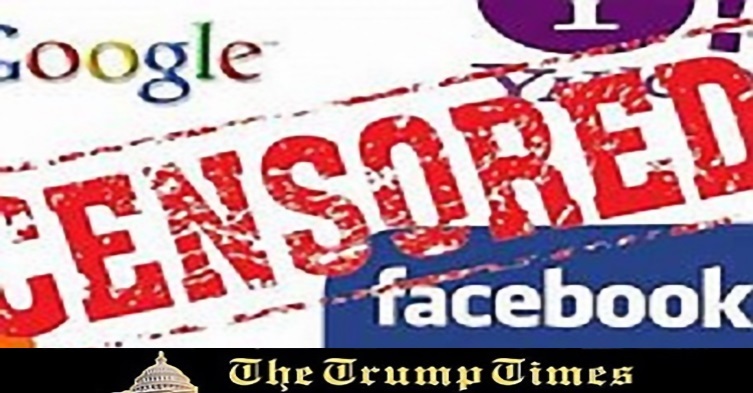 Smoking Gun: Fake News by Google, Inc.
A document Re: FISA appeared in my Facebook news feed today that is apparently being censored by Facebook and the BBC. It appears to be a copy of an unclassified Memorandum of Record for the Department of Justice. If I am reading this correctly, it indicates the US Department of Central Intelligence Agency has, or at least had, an office located inside of Google, Inc. Through the in-house operation called CROWDSTRIKE, they sought to influence Google to manufacture or repeat false and or misleading news. This was to support a false narrative of Russians involvement in the leaking Hillary Clinton’s emails to Wikileaks, instead of DNC employee named Seth Rich. 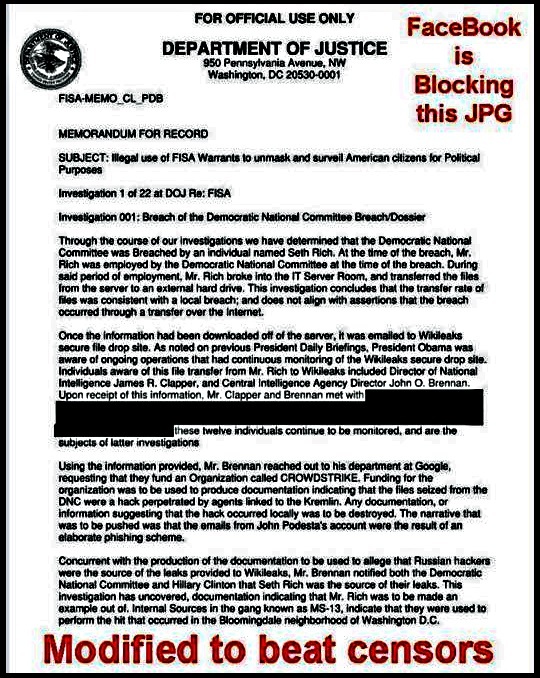 It’s believed this was done In spite of the fact, Rich had access to the information and was believed to be the person who downloaded the emails to blow the whistle on Hillary Clinton and the DNC. So much coming out on internal corruption. Every day it seems like one more link gets added to the chain of Fake News designed to help the DNC. Use your own discretion as to the genuineness of this document. If you have any supporting links, please paste them into the Comment section below. Thank you. The Most Profound Speech in the History of Congress… Or Was It? 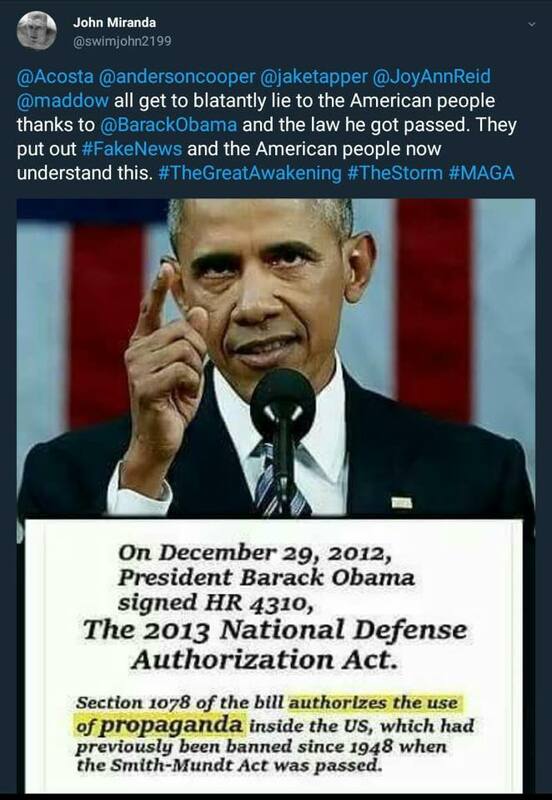 Thanks to Seth we now have this information, unfortunately he paid with his life for revealing it. There needs to be full accountability for this. Let’s “Make America Great Again” Sounds like a great idea. Yet Americans complain daily about government and past issues. Let us take one day at a time, Wednesday, February 21, positive day. If you cannot say anything good, do not say anything at all. Now that is a sound that will “Make America Great Again”. Americans talking about positive ways to help American way of life, and not spend energy pointing figures and complaining. Find the positive of an issue and expanding that idea. Wednesday, February 21.